Experience the fun of performing music outdoors! 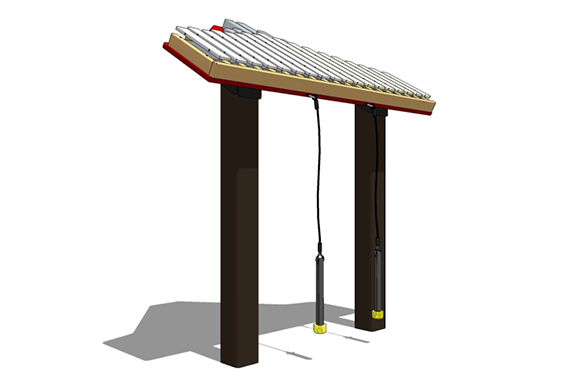 With the Duet you get both a marimba and a xylophone in one outdoor musical instrument. Delight in the earthy sound of rhythm and melody at the same time. You can even play in tandem with others and share in the experience. 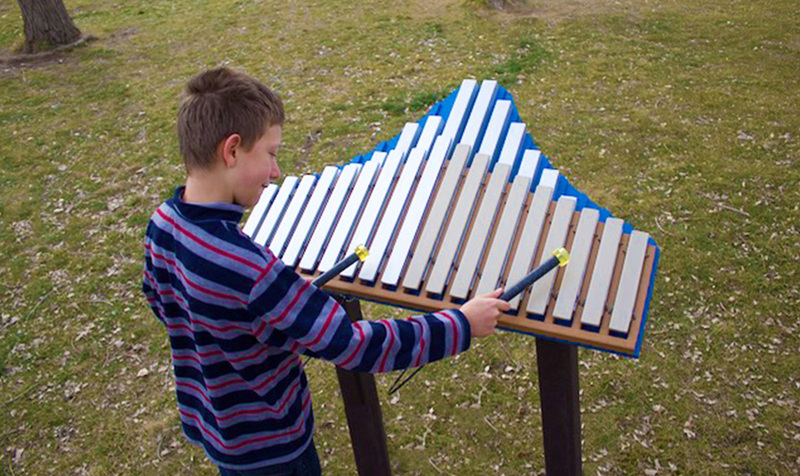 This marimba/xylophone offers 18 notes sustaining from recycled fiberglass and aluminum materials. There are no bad notes when playing the Duet; its pentatonic scale is in the keys of A & C which are in an alto / soprano range. 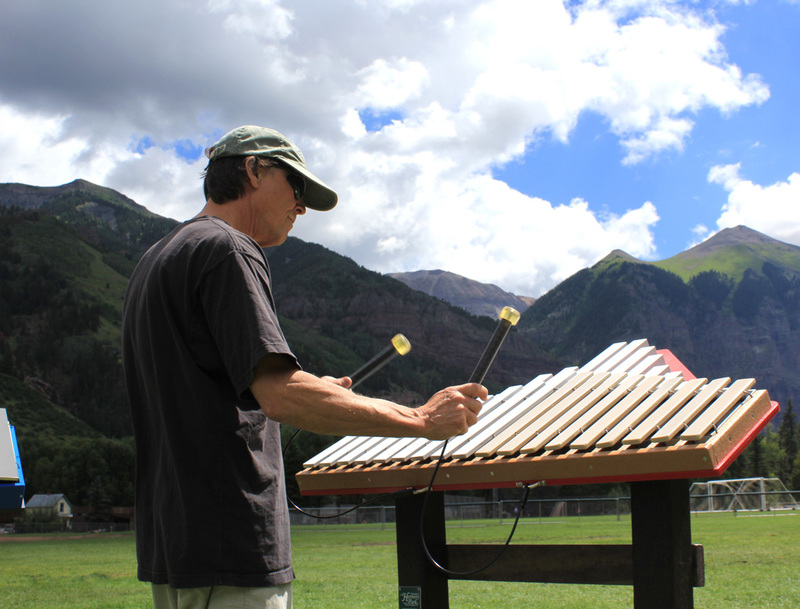 Our line of outdoor musical equipment easily harmonize with one another, so everyone can play regardless of musical ability or experience! This product is fully assembled, and is available in portable, in-ground, or surface mount installations. The two posts that support the frame are available in recycled fiberglass or steel materials. The mallets are connected with a braided steel cable, which is resistant to vandalism. The music equipment from American Parks Company helps create a sense of community, connection, and a sense of belonging. This is only one of the many benefits of music. Music is a global, artistic language. Some studies suggest that it is older than speech and language, that they may have evovled from music! Playing these instruments builds confidence because of how easy they are to play and harmonize with other instruments and people. This, in turn, encourages creativity and self-expression. They can also reduce anxiety, elevate mood, and relieve symptoms of depression. They are perfect in schools, daycares, senior adult care facilities, community centers, and even hospitals and outpatient facilities. 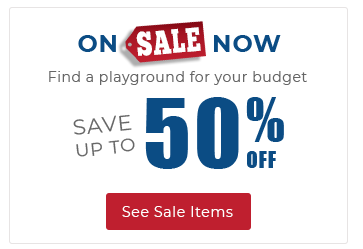 For more information, call a product specialist at 800-381-4491. Be sure to check out the other outdoor musical instruments and grouped products.